Obituary for Margaret V. (Beals) Riemenschneider | Campfield Hickman Collier Funeral Home, Inc.
Margaret Beals Riemenschneider, 101, died Sunday, September 2, 2018.A resident of Barberton for 65 years, she was a past member of the Barberton Elks Emblem Club. 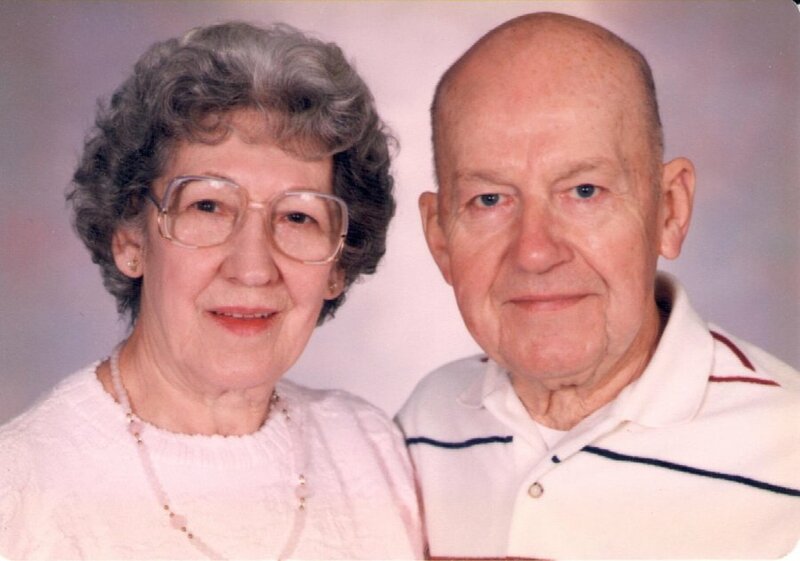 Along with her husband, Ray, Margie was an active contributor to the Barberton Community.Margaritte was a proud coal miner’s daughter and hardworking homemaker who also loved to have fun playing baseball, bowling and golfing. Her all-time favorite past times were playing the slots and bingo. She was a gourmet baker who climbed many trees to get to the best fruit that she canned herself.Margaret was small but mighty with a free spirit and strong will that never wavered.Preceded in death by her husband of 68 years, Ray; son, Bruce; daughter, Marion Kay Fischer; sister, Betty Jane Zofchak; brothers, Pvt. Bruce, Pvt. James Jr., Jack, George, Robert, Donald and Max Beals; survived by her daughters, Linda Hurst of Los Angeles, CA and Janet (Mark) Gilkey of Seattle, WA; nine grandchildren; eight great-grandchildren; along with numerous nieces, nephews, other relatives and friends.he family would like to thank Margie’s care givers for all the love and support she received.A graveside service will be held Monday, September 10th at 11 a.m. at Lakewood Cemetery with Tracey L. Peek officiating.In lieu of flowers donations may be made to AseraCare, 5755 Granger Rd., Suite 700, Independence, Ohio 44131.